74% of SMEs are optimistic about 2016, up from 61% this time last year. 30% of businesses nationally said they are likely to open new premises this year, or three times the amount this time last year 9%. 52% are likely to invest in IT infrastructure over the next 12 months, up from 30%. Finding employees with the right skills is an issue for 37% of businesses. 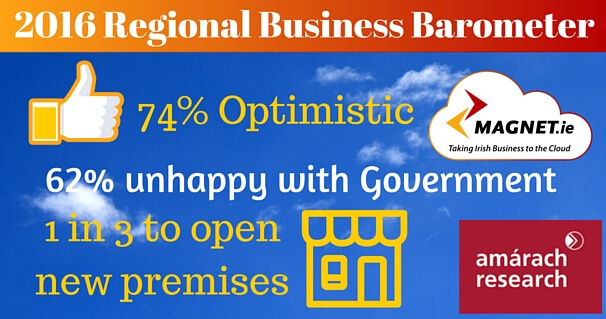 62% surveyed believe the Government was not doing enough for SMEs versus 24% who do. Download the full research findings here. The research was carried out in January 2016 by independent agency Amárach Research. 540 IT decision makers were surveyed throughout Ireland. The study aimed to find out the mood of the business nation in areas such as business sentiment, attitudes towards the government, plans for growth, technology adaption and more. 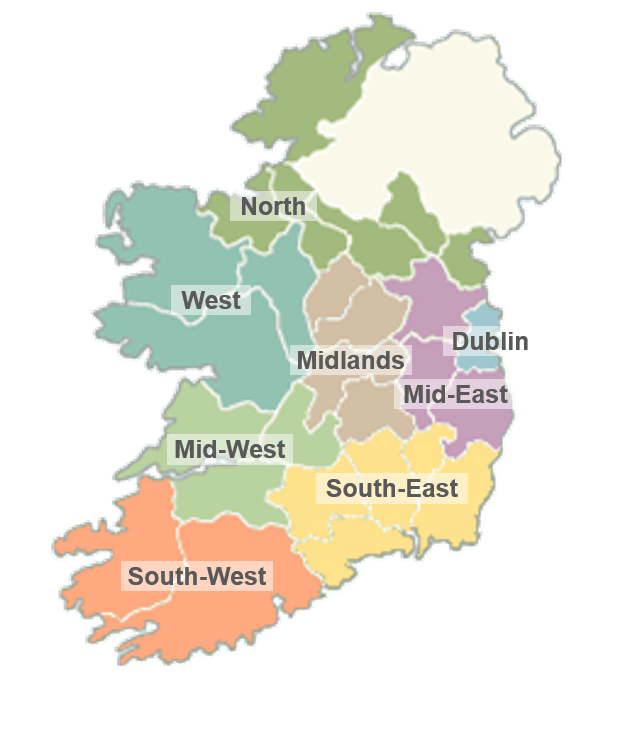 The research breaks down the findings into 8 regional authorities to make regional comparisons. 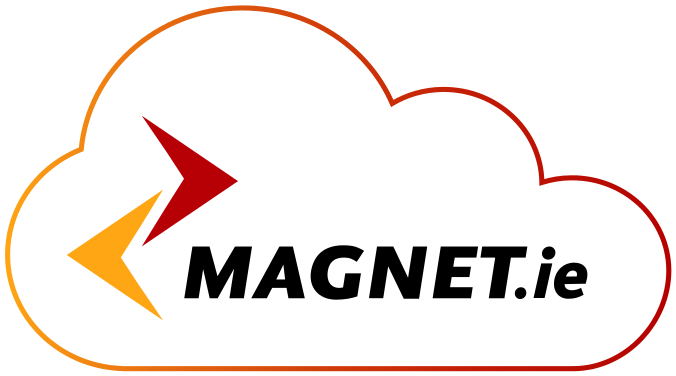 “Magnet’s research is designed to produce an accurate barometer of the attitudes of key IT decision makers across the country. The overall message coming back from them is a sense of momentum in economic recovery. The positive outlook is welcome but what is particularly striking is the high amount of businesses that plan to open a new premises in 2016″. “At the start of last year, the SMEs we surveyed were optimistic but cautious: they wanted to see the proof of recovery before committing to any investment – whether staff, IT or new premises. 12 months later, most SMEs have the proof they need to go ahead with their expansion plans. There’s no doubt this shift in outlook and intentions will contribute to further growth in our economy over the rest of 2016”. The Magnet 2016 Regional Business Barometer found that the majority of businesses are unhappy with the level of support they are receiving from government, despite an improvement on last year’s findings. When asked what the government could do to help the top methods suggested were to reduce costs such as taxes, rent, travel and childcare and increase funding, grants and loans. However 89% were unaware of grants that are available to businesses. To find out more click here. 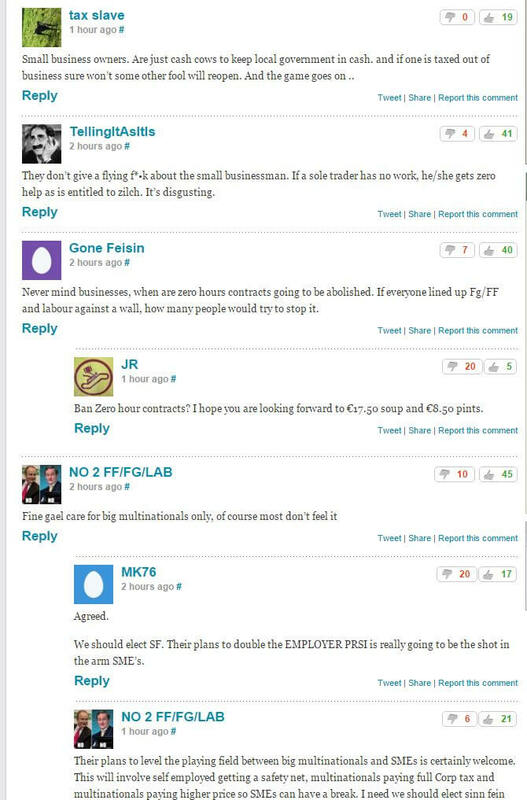 Here’s what some of The Journal readers thought of the findings.